Mattresses are pretty sensitive to how we treat them. If you want to get more years out of yours, try out this advice. 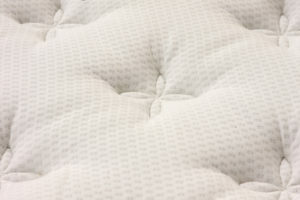 No matter how well you care for your mattress, it’s not going to last forever. At some point, you’re going to have to retire your mattress and purchase a new one. At the same time, there’s plenty you can do to delay the inevitable and really get some life out of your mattress. If you feel like your mattresses have worn out far too quickly in the past, you may want to consider some new ways to keep your mattress in the shape you need it. Read on below to find out just a few ways you can help keep your mattress in quality shape and get good nights of rest for many years to come. Having your furry companion join you in your bed at night may make you feel comforted and happy, but it can have some impact on your mattress as well. Best case scenario: your pet sheds and drools and makes for a dirty mattress that you need to clean regularly and, at some point, it may get too difficult to keep clean anymore. In the worst case scenario, your pet may have an accident causing a stain that you just can’t get rid of, meaning it’s time for a new mattress altogether. If you want to get the most out of your mattress, it’s important to find creative ways to keep it comfortable and functioning for you. One little tip is to try rotating your mattress every year or so. This helps redistribute your weight, so not all of it is piled onto one spot, and can keep your mattress comfortable for much longer. Mattress protectors are just one of the many useful bedding accessories that can change your sleeping health. If you protect your mattress, it helps stop debris from getting your mattress dirty and unusable for a good night of clean, quality rest. A fitted sheet simply isn’t enough to protect from everything that can end up on your bed. We’ll admit it: jumping on beds is fun. It’s no wonder that kids and adults alike end up doing it from time to time. However, this can cause serious damage to your bed over time and it’s advisable to avoid bed jumping altogether. Make sure you let children know why they shouldn’t jump on beds! This entry was posted on Friday, September 28th, 2018 at 2:33 pm. Both comments and pings are currently closed.